"Calling all interested youths in the Eurobodalla Shire.... Your Community Radio Station needs you!!! Do you love your music or are you interested in your Community in general or have something you would like to share with others? Why not learn something new, different and exciting like Presenting your own Radio Program on 2EAR FM. All the necessary training and guidance is provided for you so that when you eventually go to air, you will be a capable and confident Presenter. You can get the ball rolling, by downloading the "Membership, Volunteer and Presenter" forms on our "Contact" page at this site or phone us on 4474 5445 if you would like more information before deciding what to do". 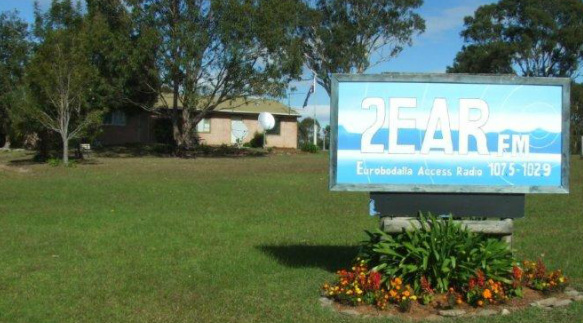 Community Radio Station 2EAR FM proudly serves the Community of the Eurobodalla Shire. It broadcasts on frequencies of 107.5 MHz and 102.9 MHz and like most other community radio stations in Australia, the station’s broadcasters are Volunteers. Funds to operate the station are generated through annual Membership Subscriptions, Sponsorship, Donations and fund-raising events. EAR Inc is the not-for-profit community organisation that owns and operates community radio station 2EAR FM. Membership of the association is open to all persons who live or work in the Eurobodalla Shire or have an interest in promoting the region through community radio. Volunteers in the station must be Members of EAR Inc. which is controlled by an annually elected Management Committee. Keeping the local community informed about events in our local community is important to 2EAR FM. We do this both through a series of Community Bulletin Board (CBB) announcements which are broadcast free of charge (if the events are organised by not-for-profit organisations) to promote community events in the Eurobodalla Shire. each week day at 08:30, 10:30, 14:30, 17:30; and on weekends at 07:30, 10:30, 12:30 and 16:30. If you are part of a not-for-profit organisation that works within our Shire and would like to make use of this service, then please contact us. Our studios at 9 Rose St. Moruya. Yes, we're broadcasting in paradise. Q. How is Community Radio different from Commercial Radio or the ABC? A. Community Radio exists to meet needs which are not satisfied by the mainstream media. Unlike Commercial Radio which exists to make a profit through advertising, Community Radio is owned by community-based not-for-profit organisations which serve the special interests of those in their Community of Interest. Q. What is the ‘Community of Interest’ of 2EAR FM? A. The Community of Interest of 2EAR FM comprises all those who live or work within the Eurobodalla Shire of NSW. Q. Does 2EAR FM favour any particular type of music? A. Not as such. The music played on 2EAR FM reflects the range of musical tastes in our ‘Community of Interest’. Q. What is the area of coverage of 2EAR FM? A. The transmitters at Mt. Wandera and Narooma are designed to provide reliable radio coverage over the entire Eurobodalla Shire. We believe that the Eurobodalla Shire, which 2EAR FM serves, is a very special place to live, work and a great place to visit. 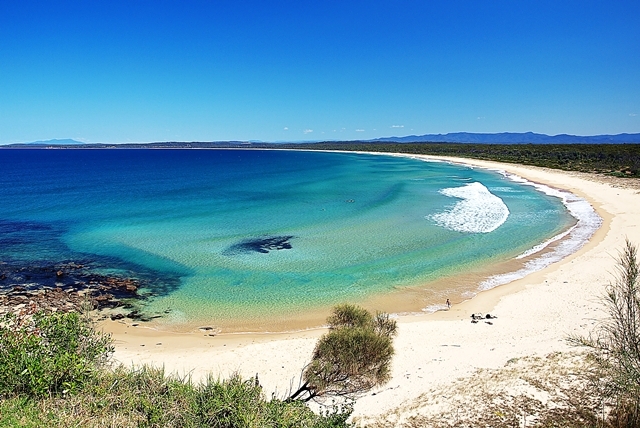 The Shire stretches from North Durras in the north of the region, through a hundred kilometres of inlets, bays and sparkling beaches, through Batemans Bay, Mogo, Broulee, Moruya, Tuross Head, Bodalla, to Narooma, Central Tilba and Tilba Tilba in the South. Westward, the region includes State Forests and unspoilt National Parks. The region is watered by the Clyde River, the Moruya River (known as the Deua River further inland) and the Tuross River, all of which flow down from the mountains. No wonder the original settlers called this beautiful place the ‘Land of Many Waters’.